Just in time for summer, Laurelwood Brewing is adding another canned beer to its lineup. Six-packs of Golden Ale will begin appearing on area store shelves in coming days and weeks and be available through September. Recall that Laurelwood's first canned beer, Red Elephant IRA, was released in August 2015. The success of that beer helped push them toward releasing another beer. It's also true that owner/founder Mike De Kalb is a fan of canned beer. "I think canned beer stays fresher and everyone knows how much easier it is than bottles to schlep around for summer activities," De Kalb said. "Our challenge was to decide which of our beers should be the second to be canned. We think Golden Ale is the perfect choice for summer." 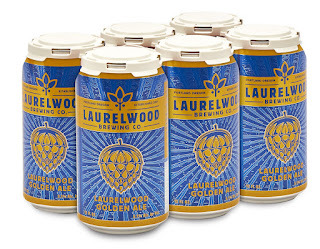 If you aren't aware, Golden Ale is a longtime member of Laurelwood's stable of beers, having been brewed since virtually the beginning in 2001. The beer won Gold and Silver medals at the 2002 and 2013 World Beer Cup, respectively, as well as several Great American Beer Festival medals. It's no slouch. As with the Red Elephant cans, production and canning of Golden Ale will be done at Laurelwood's flagship location on Sandy Blvd. De Kalb and his staff were concerned about their ability to manage the production and canning schedule when they launched Red Elephant, but they've worked things out and feel good about now adding a second canned beer. "Our issue with Red Elephant, a year-round beer, is we couldn't wind up in an "out" situation," De Kalb said. "You can't let that happen when you have shelf space at Safeway, Fred Meyer and other large stores. We've tweaked the scheduling to the point where I'm confident we can proceed with the production and canning of two beers." Meanwhile, production brewing is fully underway at Full Sail in Hood River. All of Laurelwood's six- and 12-packs (Workhorse only) of bottles are produced in the Gorge. 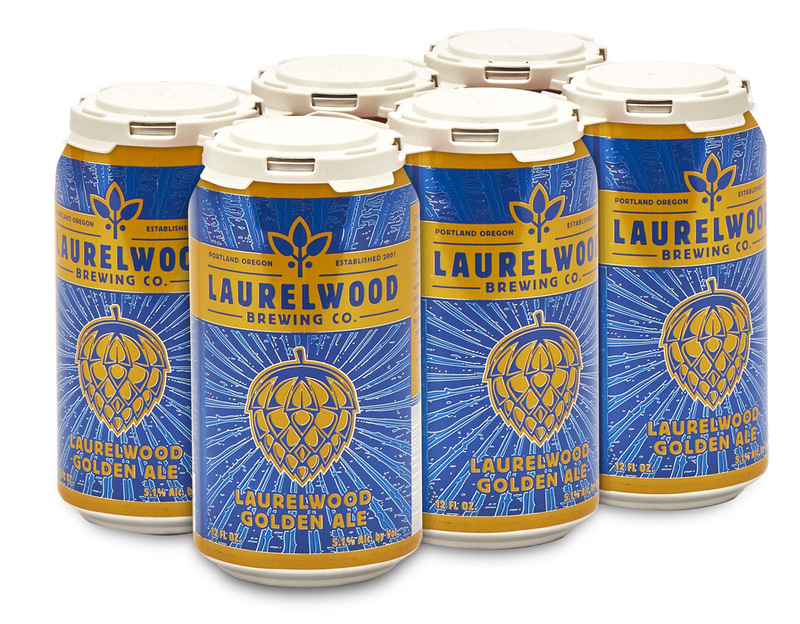 Laurelwood beers are widely distributed in Oregon, Washington, Idaho, Alaska, California and British Columbia. Shipments are also reaching Puerto Rico and Japan. I'm guessing Golden Ale will be as big of a hit as the Red Elephant cans have been. Because it's lighter and potentially appealing to a wider demographic, Golden Ale may even surpass the success of Red Elephant cans. Regardless, it's excellent timing on Laurelwood's part.